The Blue Heron wetland area is a popular site for bird watching and photography enthusiasts and is listed in the Great Florida Birding Trail. 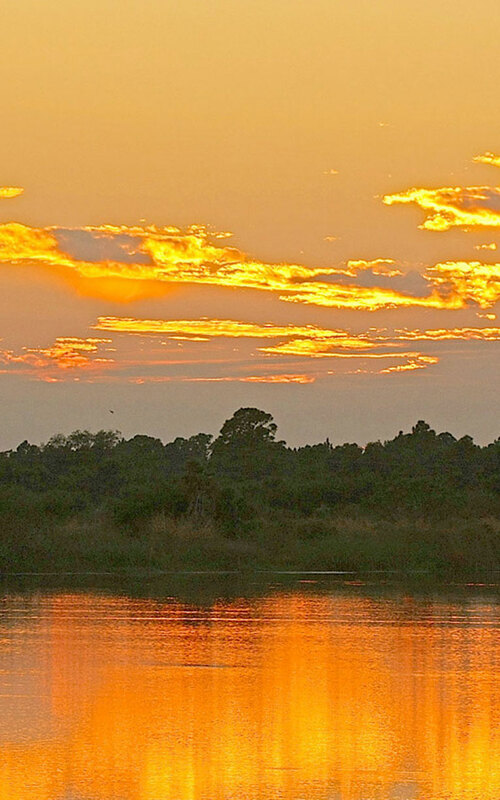 It is often included as a field trip for the renowned annual Space Coast Birding and Wildlife Festival. The wetland area is open to the public, Monday through Friday from 7 a.m. until 3:30 p.m. 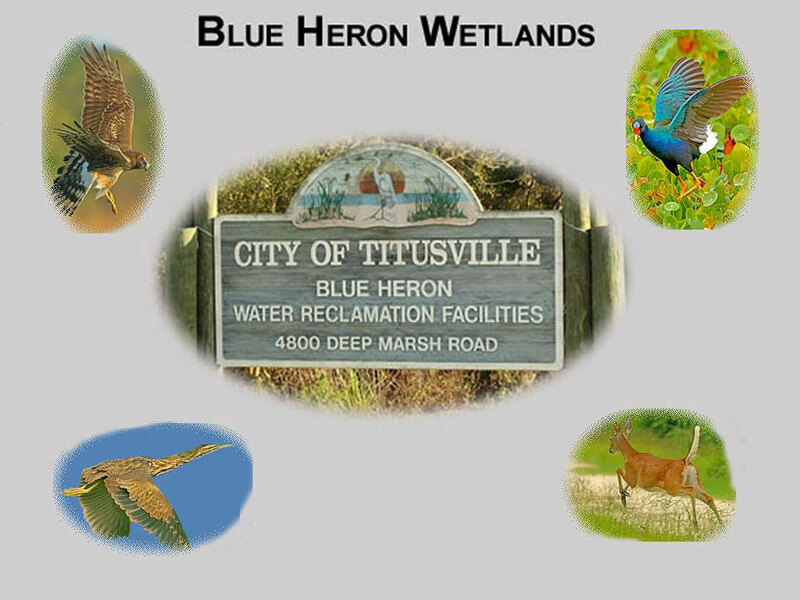 If you wish to visit the wetland area on the weekend, you must call 321-383-5642. at the Blue Heron Water Reclamation Facility to make an appointment. Access to the wetland area is through the main gate at the Blue Heron Water Reclamation Facility. All visitors are required to sign in at the administrative office. Follow the signs to the raised berm that surrounds the marsh. The Blue Heron Wetlands is host to many birds that reside in the marsh year round. as well as migratory waterfowl and birds of prey that visit Florida for the winter months. Most of the birds native to Florida nest in. or adjacent to the marsh. At one time, Great Blue Herons were a prime attraction in the marsh. they had nests in Cabbage Palm Trees. Most of those trees have since died off and only a few Great Blue Herons have nests now. Other birds that nest in the marsh include Least Bitterns; Purple Gallinules; Moorhens; Black Crowned Night Herons; Sand Hill Cranes; Black-Bellied Whistling Ducks, to name a few. A pair of Red-Shouldered Hawks had a nest inside the facility fence for a number of years. You will never fail to see at least one Red-Shouldered Hawk on your visit. The marsh is a prime hunting grounds in the winter months for Northern Harriers, Bald Eagles, Merlins, Sharp-shinned Hawks, and Cooper Hawks, In the late winter of two thousand ten, hundreds of migratory ducks of at least seven species were seen at the marsh. White Tail Deer, Bobcats. River Otters, Raccoons and Marsh Rabbits, are regularly seen along the berm.